Leaks in the home present more than just the initial problem of a poorly functioning pipe. 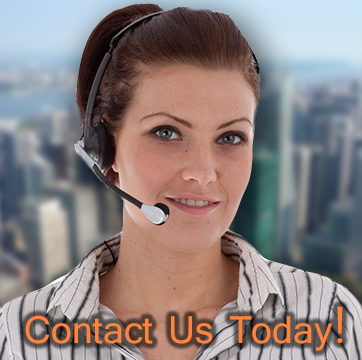 Leaks can cause flooded basements, flooded kitchens, flooded bathrooms, and water damage. In response, Dry Ease offers the solution of water cleanup services, flood water cleanup, and water damage restoration services. 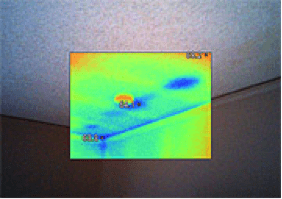 As a water damage restoration company, we specialize in using infrared thermal imaging technology. 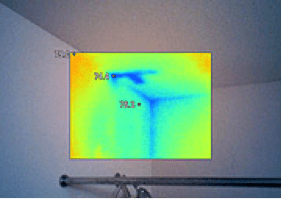 Whatever the leak, our Thermal Scan will X-Ray and find the interior wall moisture leak. Our policy is that we get it right the first time. Every time. No matter what. 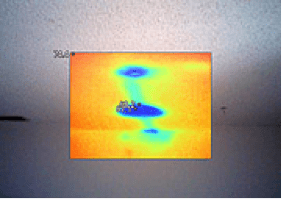 We use the latest FLIR infrared thermal imaging cameras to match our experience to give you the best and most accurate leak detection and water intrusion issues in the business. 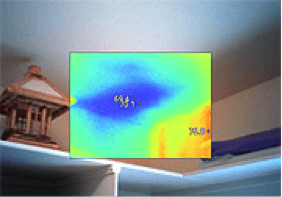 Thermal imaging survey inspections using specialized infrared equipment has proven to be an exceptional tool for rapidly and reliably providing inspectors and clients with an accurate diagnosis for a wide range of problems. 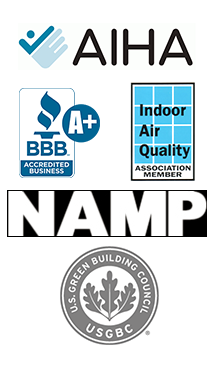 Examples include detection of structural damage following a fire or flood, moisture intrusion in a hidden wall, floor, or ceiling relating to a leak or broken pipe, pockets of moisture that could signify mold growth, structural defects from poor construction or wear over time, and many other issues. Issues detectable by infrared thermal imaging can all be devastating to the structural integrity of a building as well as the health and safety of those living or working within it. Utilizing this technology has helped many solve or avoid hazardous situations. 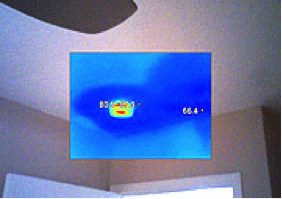 Thermal imaging detects heat patterns or temperature changes, and is the most up to date technology in the mold assessor’s tool kit. 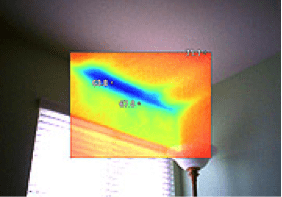 The human eye cannot see through walls, but thermal imaging cameras can.